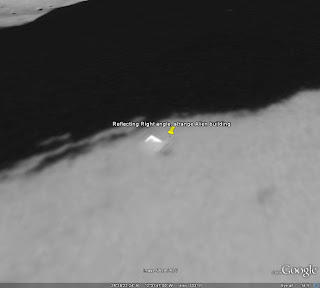 Google Earth 5.0 now finally includes the moon and what do you know, within hours a new anomaly has been found that is astonishing researchers. 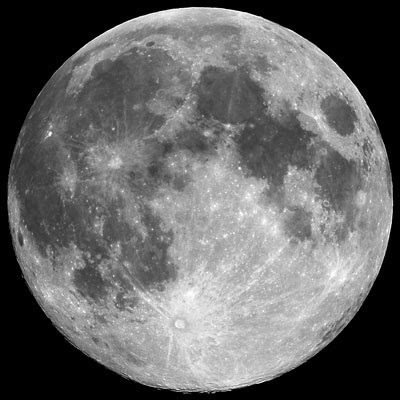 This is only supporting the fact that life other than humans have been or are on the moon. I decided to take a look for myself, not only did I see the new anomaly but I found others that haven't been discovered. Take a look for yourself. It's right there in front of you. 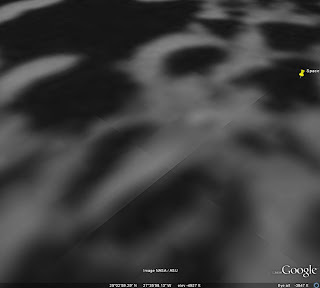 I know that the resolution isn't the best but you can obviously see that these objects are there. This is not some glitch in the Google images, this very real and it's time for an official statement to be made. 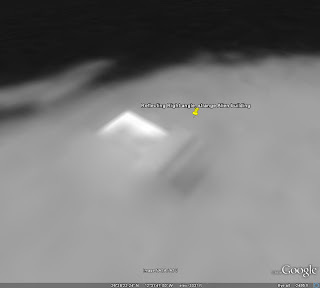 Unfortunately I doubt that will happen considering that the images are not perfectly clear and there for can be misconstrued as something ell's besides alien artifacts. Take a look here, what's going on? 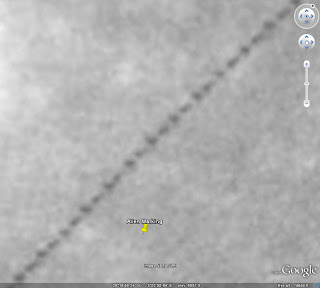 It's a obvious right angle with a reflection and some other darker lines next to it. 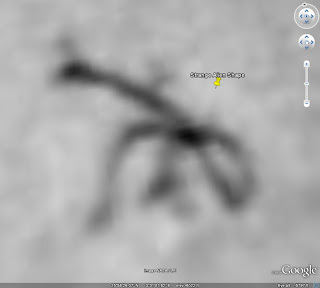 Alien structure?? Now the photo on the left is the same on as the right but just closer up. This to me is very obvious. 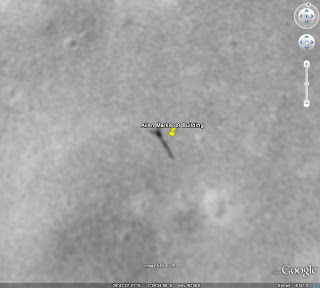 You can see the crater but something is on top of it. 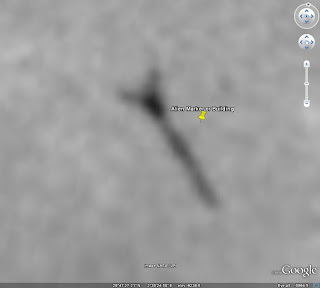 It's the the shape of a long triangle and you can slightly see a small round dome in the middle of it. There is no denying this is something other than a natural formation. 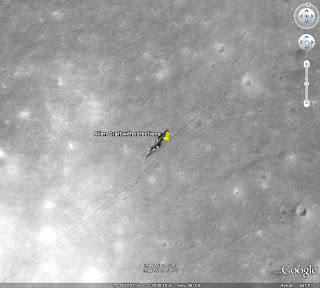 Alien craft on the moon people. This one leaves me speechless, if anyone could explain this object, please feel free to do so. It's very odd and parts of it are reflective. A long strand with a split end like a big Y . Odd to say the least. This is the newest anomaly many people are taking about. The image speaks for itself. 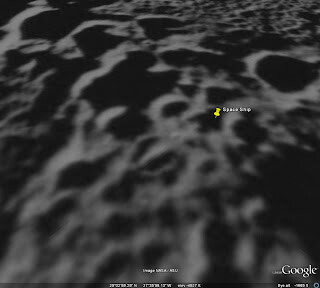 This is a picture just to show you one of the many areas where I found many sights of interest. 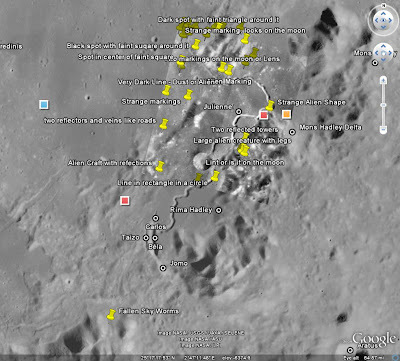 All of the yellow pins are where I found something that I did not feel to be a natural part of the moon. 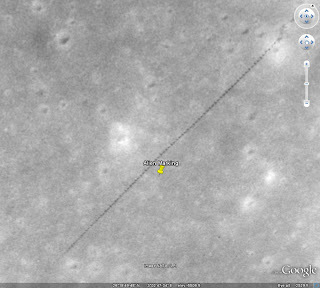 Check out these alien tracks! What I truly find amazing is the fact there things all over the moon. They are everywhere and all you have to do is search for them. I understand that shadows can play tricks on the mind and dust and lint get caught on the lens but when you look close to some of the things I have found you'll see it's not just small dust partials on the lens. Granted some of them may be, but others definitely not. Now one thing you need to remember is the fact that the anomaly's you're looking are huge, hundreds in not thousands of feet. There is no question that there is something on the moon that the public is not aware of and NASA does their best to keep it under raps. 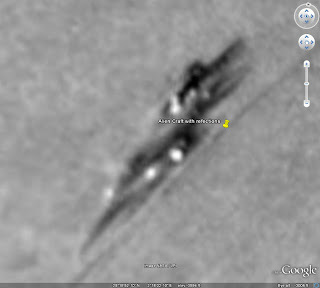 Now if we could only get a little better resolution we could see the details of these objects. The other thing is the fact that there are so many of them, I mean they are everywhere so it makes the skeptic believe these are nothing but dust particles and other random things caught in the photo. I don't think so. Open your mind to what could be and to what is right in front of you, starring you in the face. Let go of all of the thoughts that tell you these are photo imperfections. 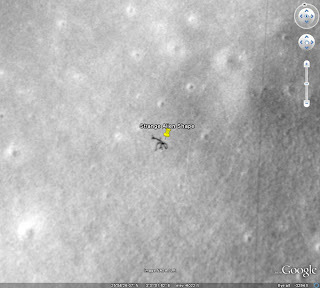 These objects are very real and it's time to start excepting the fact about whats on the moon. Attain the knowledge you need to rise to higher consciousness. Our minds are our salivation and life is our perception, understand that we are just a part of a vast universe and that anything is possible. It would be selfish of us to think we are the only ones around. Attain your mind to attain your freedom from being earth bound entity.